Feeling confused about life insurance? Not sure if you need it? If you were to suddenly die what would happen to your loved ones? Could they cope financially without you? Perhaps this is something you find difficult to talk about and think "it will never happen to me" but things can change in a heartbeat. According to the Childhood Bereavement Network, children and young people are bereaved more often than people may be aware of. In fact in 2015, it was estimated that about 112 children are bereaved of a parent every single day in the UK. Life doesn't stop when someone passes away. Life keeps going and bills keep on arriving. But does life insurance pay out when you need it? According to the Association of British Insurers latest report data (covering 2016), insurers pay out in 97.3% of all claims. "Do I need a single or joint policy? When I take out life insurance how quickly does it start and am I instantly coverered? How do I work out how much I need and for how long?" "If I cover my mortgage, what else do I need? This is my biggest bill or should I add on other expenses such as living expenses, university fees, funeral fees etc?" If you are ready for a quick and stress-free way of getting answers to any questions and want free quotes then we can help. You will receive life insurance quotes tailored to your needs from an independent and experienced life insurance adviser. And the good news is that life insurance advisers can sometimes secure preferential rates from providers than if you were to go direct. Get life insurance quotes now. 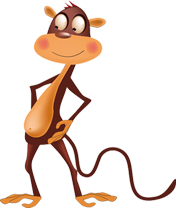 Choosemonkey.co.uk is a UK-operating family owned business that enables customers to receive free quotes quickly and easily from some of the UK's biggest life insurance providers. No need to spend ages trawling the internet, comparing different companies and filling in endless forms. We are fully regulated and authorised by the Financial Conduct Authority (FCA) and are pleased to say that over 32,000 people have already used our services. Taking out life insurance won't stop the possibility of what may happen in the future but it will give you peace of mind knowing that you have protected your family by providing for them financially.